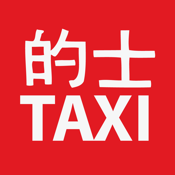 The Hong Kong Taxi Translator is a powerful tool for finding and translating addresses in Hong Kong into written Chinese and phonetic Cantonese. The new version has a total of +3000 streets, residential areas, buildings, hospitals, beaches, parks, sports grounds, schools, shopping malls and sightseeing spots. With the possibility to add street numbers you can create flashcards for hundreds of thousands of unique addresses. Should you still be missing something you can add your own content in English and ask a friend, your hotel etc. to type in the Chinese. No Internet connection is required (except for the map function) You can send favorite addresses by e-mail and learn how to pronounce an address in Cantonese using the phonetic system Cantonese Yale. Anyone living in, or visiting Hong Kong, that doesn’t speak Cantonese.